Geoengineering and the audacious quest to fix the earth’s climate. There are two fundamentally different ways to geoengineer the planet. One is to pull carbon dioxide out of the atmosphere. The other is to cool the planet by changing its reflectivity, which might accomplished in any number of ways, including injecting particles into the stratosphere or manipulating clouds. “In a perfect world, we would never consider doing anything like this. 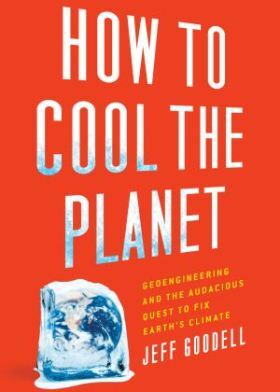 But we live in a world that has already been altered, reshaped, and polluted by human activities,” says Jeff Goodell, author of “How to Cool the Planet” (Houghton Mifflin Harcourt), a book that explores the radical efforts of scientists working toward manipulating the Earth’s climate system in an effort to combat global warming. The potential implications of geoengineering are mind-bending, its consequences incredibly difficult to predict. I spoke with Goodell about the risks and dangers, and whether it might serve as a quick fix for our climate woes. Or lead to a climate war. Who are some of the leading scientists pursuing geoengineering? One I spent a lot of time with is David Keith, a physicist at the University of Calgary. He’s been thinking about geoengineering for a very long time, and has four million dollars or so from Bill Gates and other investors to start a company to design and build machines to pull carbon out of the atmosphere. He’s also been very involved in thinking about how to engineer the technology for injecting sulfate particles into the stratosphere. James Lovelock, the British scientist who is most famous for the Gaia theory, has also long been thinking about geoengineering. Ken Caldeira, a respected climate modeler at the Carnegie Institution for Science at Stanford has done a lot of interesting modeling on this. And there’s a smattering of others, including Lowell Wood, a protégé of Edward Teller, the father of the hydrogen bomb. Has geoengineering moved from the fringe to the mainstream? I wouldn’t say it’s mainstream but it’s getting there quickly. One of the things driving it is this failure to reach any kind of international agreement for reducing carbon dioxide emissions. The sane way to deal with having too much carbon dioxide in the atmosphere is to limit the amount that goes into the atmosphere. But we’re not doing that, and the prospects for doing it anytime soon look bleak. People are beginning to think about other possibilities—for better or worse. What are some of the dangers of geoengineering? We could talk about that all day long. There are dangers in the sense that we are talking about a big complex system that we’re not even close to fully understanding. And we’re already messing around with it in a big way by dumping billions of tons of carbon dioxide into the atmosphere every year. There is also the risk of falling into the very dangerous and deadly trap of thinking we can substitute geoengineering for cutting emissions and go on burning coal and other fossil fuels. That does nothing to confront the problem of ocean acidification. Then there is the political danger that if geoengineering is seen as a quick fix for our energy and climate problems, that it will take away the pathetic but not meaningless inertia we have right now to cut emissions. It also brings up a lot of complexities for international negotiations and questions about climate warfare. You can imagine if a country like China decided it wanted to start a geoengineering project, other nations like the U.S. and/or Russia might not like it. But what would we do about it? If China started spraying particles into the atmosphere, would we launch [fighters] to shoot down the jets being used to put the particles up there? How would we respond to an individual state or individual who decided to start doing this? It brings up the Cold War [problem]: How do you keep a crazy person’s finger off the trigger? Which country or countries would be most likely to go off on their own? It’s hard to say. China has a long history of doing large-scale manipulations of the environment, everything from Three Gorges Dam to a huge cloud seeding operation that they have going on right now. And Russia was a pioneer in what people talk about as early-stage geoengineering—trying to change the way rivers flow and build inland seas. One could also see the U.S. doing it, if it became politically expedient to do so. Is it inevitable that geoengineering will be sold as a quick fix? I think it’s inevitable and that’s the great danger of this and why I wrote the book. We need to talk about it, because there are huge risks and a lot of complexities, and it is not a substitute for cutting emissions. My last book [“Big Coal: The Dirty Secret Behind America’s Energy Future] was about the coal industry, and I know [the likelihood that the coal industry will say]: Yes, we understand that global warming may be a problem and we have too much carbon dioxide in the atmosphere, but we can’t cut back on emissions because it will hurt our economy. So in order to buy us time we think we should start spraying particles into the atmosphere [which would relieve the pressure to reduce fossil fuel consumption]. What scares you most about this issue? What scares me is this blind faith in technological fixes. Even if geoengineering is never done, it could cause a lot of problems in terms of the political will to reinvent our energy infrastructure. Dealing with global warming means we need to change the way we live. It doesn’t mean we have to spray particles into the stratosphere. Yet that may be what we end up doing, or at least end up talking about doing, which could be just as bad. What’s the most outlandish geoengineering idea you’ve heard? There are a lot of crackpots on the fringes, and in my book I try to limit my discussion of those. But I talked to or received emails from people who think we should shoot nuclear weapons at the moon and send moon dust into space to reflect away sunlight. There’s a guy talking about dumping millions of tons of Special K cereal into the ocean as a way of reflecting sunlight. There are people talking about sheathing parts of the globe in highly reflective plastic. There’s the idea of genetically engineering crops so that the leaves are white, to change the reflectivity of the planet that way. There’s a long list of wacky ideas. Is it possible that geoengineering might scare people straight? How this will play out and what the political effect will be no one knows. There are those who argue that it will function like the films shown at drunk driving courses, where they show horrible movies of people who have been beheaded in car accidents and things like that. Maybe that will happen on some level, but I fear not. It certainly has cranked up some parts of the environmental movement, which wants to make it taboo to do any kind of research or testing of any of these ideas. I think that’s exactly the wrong way to go. This needs to be actively discussed, and we need a federal research project. We need to know what might work or not work and better understand the risks. 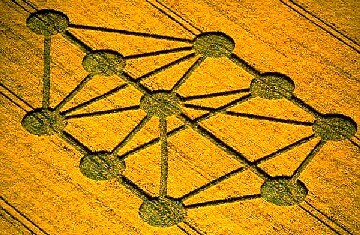 Round In (Crop) Circles—M. Night Shyamalans Signs to raise the profile of crop circles. Steve Wozniak Interview—Woz on Steve Jobs and the history of Apple. 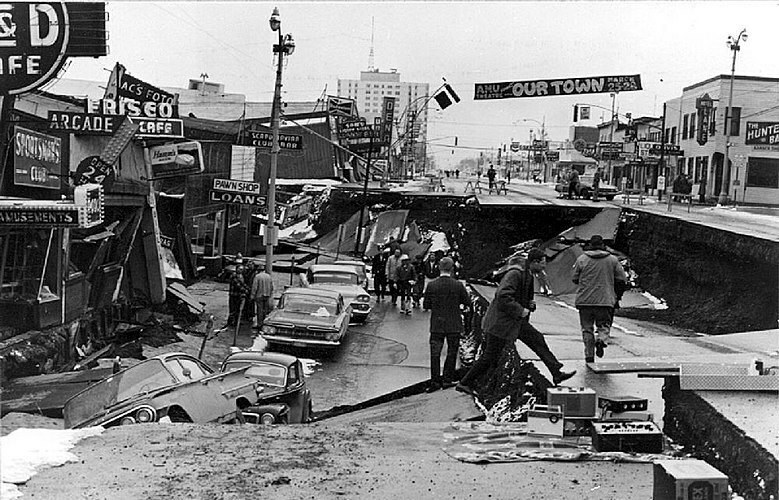 The Great Alaska Earthquake—In “The Great Quake,” Henry Fountain recounts the story of the 1964 Alaska Earthquake, and how it advanced our understanding of earthquake science. Cork Screwed?—The satisfying pop of a cork is giving way to the crink-crank of a metal top.